The project is now 76% funded with 22 days to go – if you’re considering becoming a backer, check out the Kickstarter page HERE. Remember, the more money we gather, the more art we can afford and the better this project will look. I’ve also put some more work into the alpha document if you want to check it out. Last update, I previewed the tough guys who were up for a vote on who gets illustrated by our artist, Joel Carroll (that’s a sample of his work above) and included in the book as sample heroes. 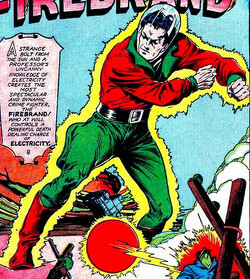 This time, we’ll look at the elementals, heroes whose powers are based on natural forces – electricity, fire, water, etc. Ray O’Light (a grand old Irish name if ever I heard one) is an electrical worker who gets zapped on the job. Luckily, a passing scientist saves his life and in the process endows him with electrical powers. Dig the translucent helmet! Bob Blake discovers that being friends with a brilliant chemist can cause problems, as he is accidentally doused in a formula that Harry Thurston accidentally discovers (hmm – lots of accidents here). Donning aviator goggles and a handy pair of tights, Blake turns lemons into lemonade and becomes Hydroman. 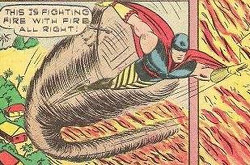 Young Bob Sanders gets caught in a cyclone in his home town of Windy Gap and, obviously, comes out of the experience with super powers. No, his powers don’t come from being smeared with radioactive vapo-rub. 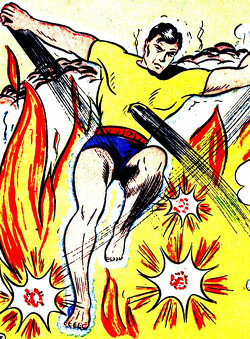 Vapo-Man is scientist Bradford Cole and was caught in a lab explosion caused by Nazi saboteurs (I hate those guys). Carol Vance is orphaned by a forest fire, but given powers by the god of fire after he rescues her (so he’s not such a bad guy after all). 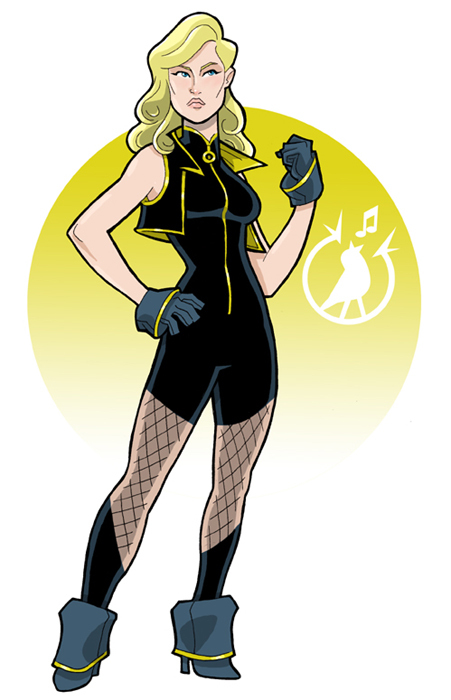 Adopted by the Martin family, she puts her divine powers to work smashing Nazi spy rings and generally making the lives of criminals more interesting. 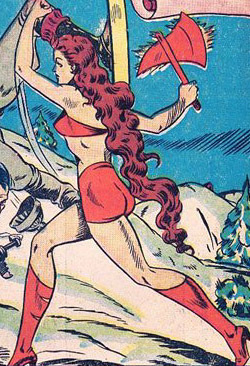 Also – girl in a bathing suit with a flaming battleaxe! Remember – no need to vote your favorite now, as the official ballot will be sent out when the project is funded. Thanks to everyone who has put money into the project so far! ← PARS FORTUNA Monster Vote! Are any of the classes based on D&D monks? Most superheroes, with a few exceptions such as Iron Man, seem more like monks than like fighters, in that they usually don't have weapons or armour. The game really only has three “classes”. “Adventurer” is the catch-all for “people who punch other people in the name of justice”. It provides a simple framework – attack bonus, hit points and saving throw. Most of the “special abilities” one associates with classes is handled with the powers. The other classes are the “sorcerer” and “scientist”, both having fewer hit points and a slightly lower attack bonus than the adventurer, but mostly differ in how they purchase powers. Where the adventurer spends XP on set powers, the other classes devote XP to a pool – in the sorcerer's case, he spends those XP on temporary powers (i.e. spells) during play, while the scientist spends his pool of XP on a set of powers invested in devices at the beginning of an adventure. So, the sorcerer has the most flexibility, the scientist next and the adventurer the least – but the adventurer is a better fighter than the other two. Yea, I messed up the entry for the Kickstarter project — I meant the Golden Age one. Thanks forr letting me get a chance to correct it. Not a problem – thanks for backing the project! 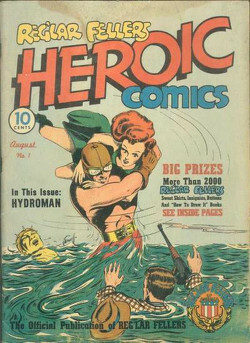 This may seem an odd time to still be trying to recruit you when your own superhero game efforts are going so well, but I'd appreciate it if you e-mailed me privately (scottenkainen at google) if you would be interested in helping with the H&H Trophy Case newsletter.